But I think he should have all the cake as far as our beloved geek culture is concerned. Plop him in the director's chair for a Battlestar Galactica movie, or shove that mediocre hack Ridley Scott off his pedestal and get involved in the Blade Runner sequel. After all, he'll already have the morbidly cranky Harrison Ford in his sweaty grip. No reason to stop there though. After all, what did Joss Whedon ever bring to the Marvel table since Disney gobbled it up? No, Abrams is now best friends with the Mouse and I think it's his turn to take over Avengers 2, steal Ant Man from that nobody Edgar Wright and probably do something with Iron Man 4. When the Disney and Lucasfilm execs got together to discuss who would helm the next Star Wars movie, there was clearly no competition. They brought up Abrams' cheery square face onto their Powerpoint, said something about how successful he was in rebooting Star Trek and that was that. I wholly approve of this way of working. Abrams is the only visionary out there at the moment. Just look at recent sci fi drivel like District 9 by that Blomkamp bloke (yawn fest) and one-hit wonder Guillermo del Toro. Disney and George Lucas knew they needed someone with balls - someone who could etch their own signature onto the beloved franchise like he did with Star Trek. His use of lens flares sparked viewers' imaginations and the way he used his unnerving CGI style paved the way for future film makers to emulate. The fact is, Abrams is the best man for any directional job. His style is so unique, so perfect, that I have no doubt that he could take on any franchise and do amazing things with it. Did Raimi really do such a good job with The Evil Dead series? Probably not. Blood and weird camera angles do not a movie make, but Abrams could take The Evil Dead and make something entirely special, using his unerring vision and signature style. Abrams filmography to date shows exactly why he should take on more franchises. Super 8, Star Trek and Mission Impossible 3 solidified his career as a daring director, fully capable of taking a franchise like Star Wars in a compelling direction. But please, Hollywood - give Abrams everything else. This is exactly what we need. I have to agree completely! I hope that when Firefly is rebooted, they give it to J.J. Abrams. Because he's God. Oh certainly, because I don't need to have more than one big sci-fi picture a year. I'm perfectly happy to have all of these franchises bottlenecked by working through one director. Heck, he should also take over all the TV shows and put those on his calendar as well. I'm overjoyed at the thought of waiting until 2037 for the next season of Walking Dead. Is this article for real? You really think all sci-fi franchise should be directed by one director? 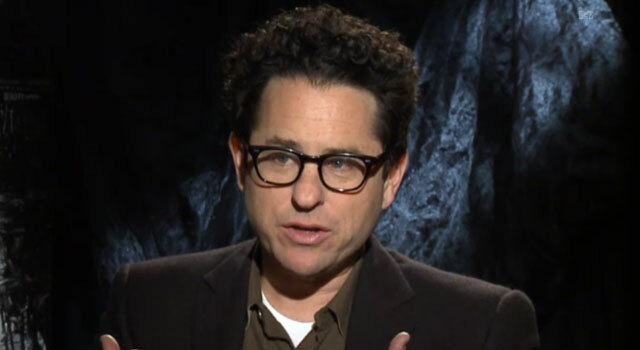 JJ Abrams isn't the second coming of Jesus Christ. He's good at marketing and pandering to the mainstream audience. What's the joy in making every unique franchise the same as the other?